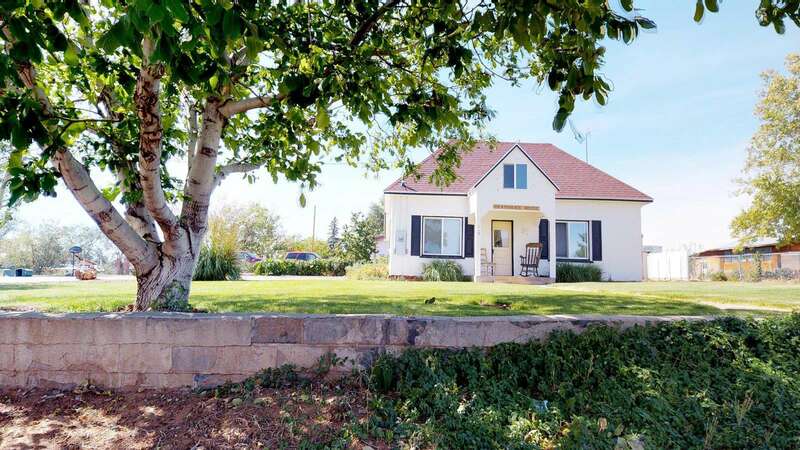 This Charming and Nostalgic Grandma's cottage with a Private Hot Tub is the perfect getaway. 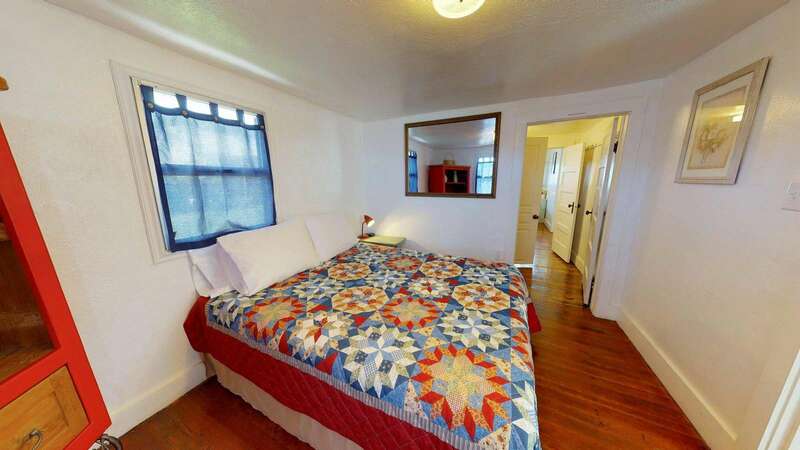 It has two bedrooms individually decorated and both with a queen size bed. The kitchen is fully stocked with everything you would need in a kitchen, plus some old-time extras. You don't need to worry about anything but providing food for meals. The living room has a large flat screen TV (not Grandma's) with HDTV and 70 channels, plus Free WiFi, so you're never going to get bored. 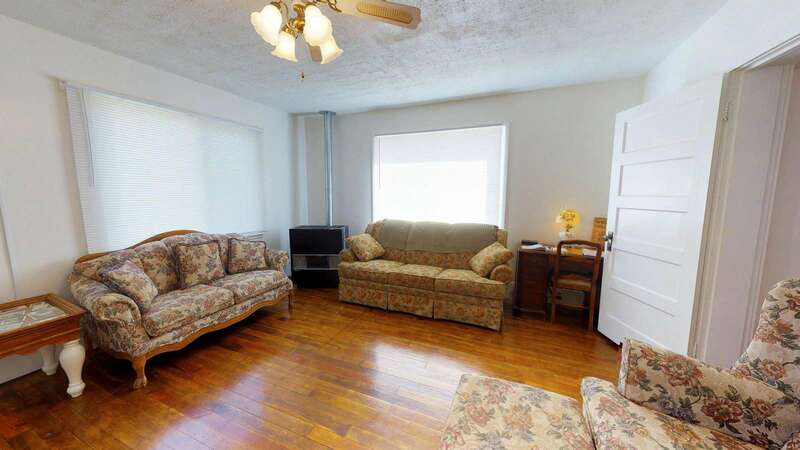 There is a sofa sleeper in the living room making it a great place for up to 2 more guests. 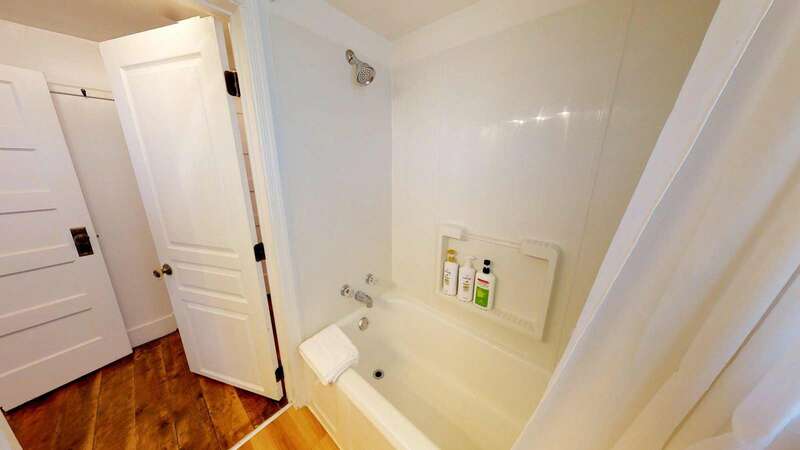 There is a full bathroom with towels and all linens are provided for the beds. 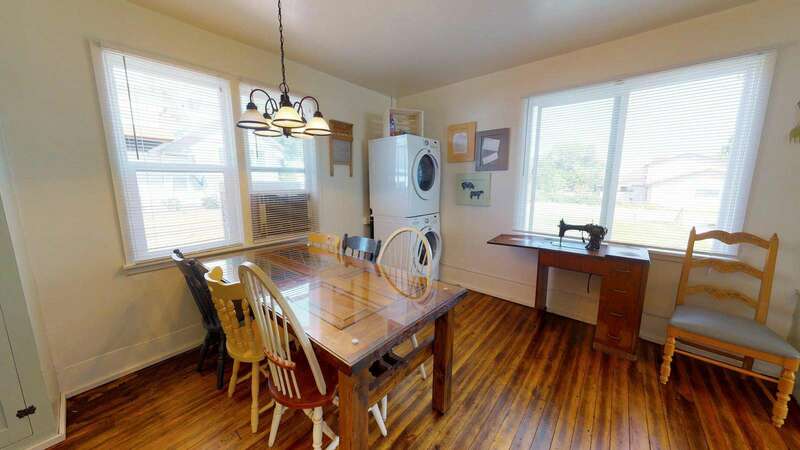 Don't worry about getting a little dirty out on your adventures, this cottage has a full-sized washer and dryer for your use. The patio out back is a perfect place to fire up the grill and enjoy a great cookout. 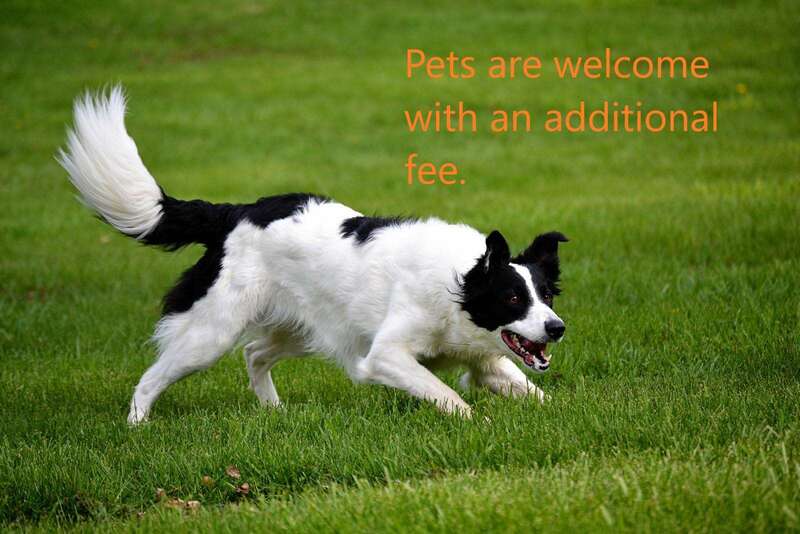 We allow indoor pets at this property and provide a dog run in the backyard if needed while you’re enjoying the patio. Staying at Grandma's House means you have plenty of places to visit including the new Bears Ears Monument. Contact us for suggestions on what to see in the area. All of the following are within easy day trips. Just like being at your grandma's house! We enjoyed our stay! This place is like an oasis! After a long day of hiking and driving, this was the perfect place to settle in and relax! 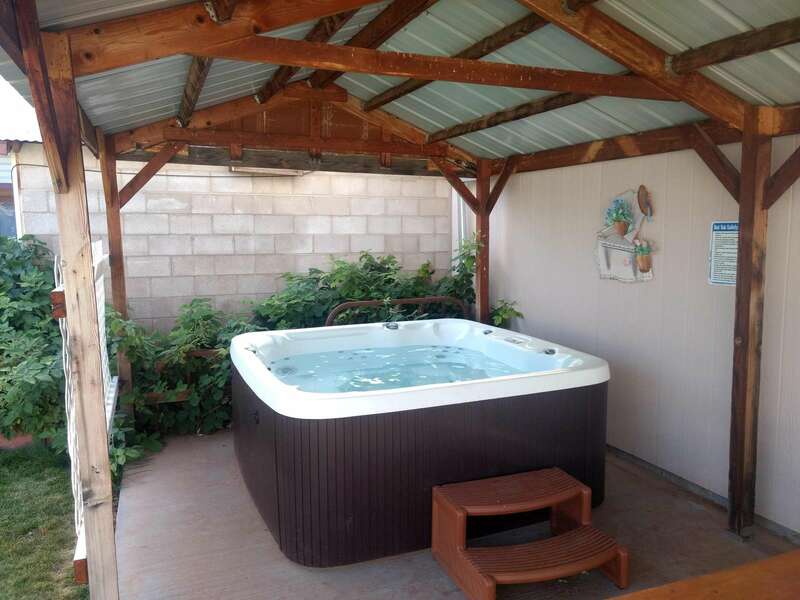 Everything was clean, the house is really spacious, and the hot tub was perfect! Not to mention there are so many local tips from the owners in the guidebook! Charming, clean and every amenity you could need! One thing I really appreciated was the bed and pillows were very comfortable. We enjoyed our stay here very much, the owners were friendly and kind enough to come and shovel the snow from the walkways and driveway during our stay. 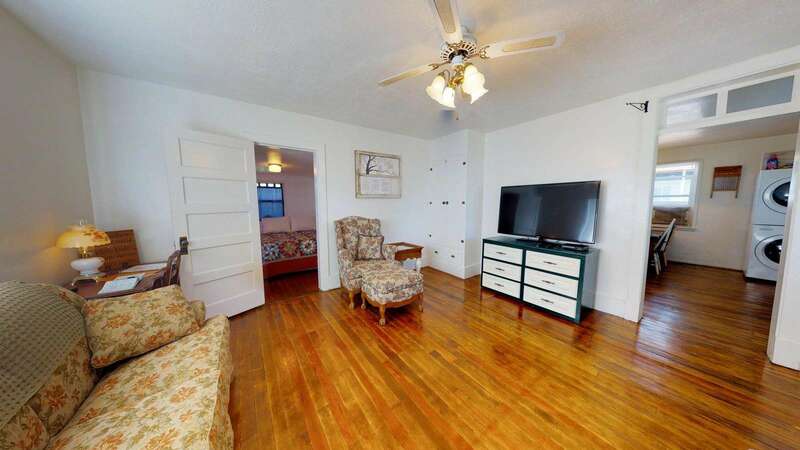 The home was a great compact size for socializing and had lot's of character. There was also a very well put together "guide book" of the local destinations and well planned suggested day trips. The outdoor covered hot tub was excellent and very beautiful to sit in during a snow storm. Everything was great. We were traveling with pets and were able to bring them. Charming and quaint little house. The tv channels were very limited and we were not able to watch the orange bowl (Roll Tide!) Jerry was great to work with and made everything perfect! Would recommend to a friend. A well located quiet and sun filled cozy home. There are too many choices for rewarding hikes in the area to complete in a week or two. The recommendations for activities by the host were spot on. We especially enjoyed the area with snow cover. The town has a very good supermarket (Clarks) and all other necessary services. If you enjoy peace and quiet, and are eager to be outdoors, you will enjoy your stay here. Unique, comfortable place in a unique, beautiful area. Grandma's House was spacious and cozy! Great quiet location that was an easy home base for the endless activities in the region. Easy check in, clean house, and quick and thorough responses from Jerry. I would love to stay here again next time I'm in the area! Love this quiet little house (have stayed here before) that feels very homey instantly. This was our first time to have the hot tub. Used it a couple times on our six night stay but the chemicals were just too strong causing coughing and burning eyes. Still love the house and it's location but really want the hot tub to be useable. The house was very clean, well maintained and decorated very nice and the kitchen was stocked with the essentials. It is located in a nice quiet neighborhood in Blanding. It is close to a grocery store and restaurants. We enjoyed our stay in Blanding - the house was very cute and more spacious than expected. It had everything we needed and although we didn't get to meet in person, Jerry was very hospitable and a pleasure to communicate with. A very charming and cozy place that made me feel just like I was at home. 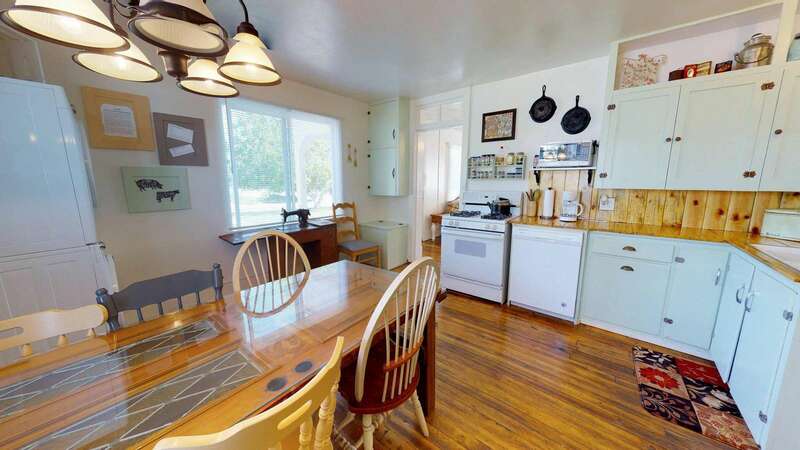 Cute and clean cottage with a very nice stove. Nice for cooking your own meals. Hot tub seemed practically brand new and was much appreciated. 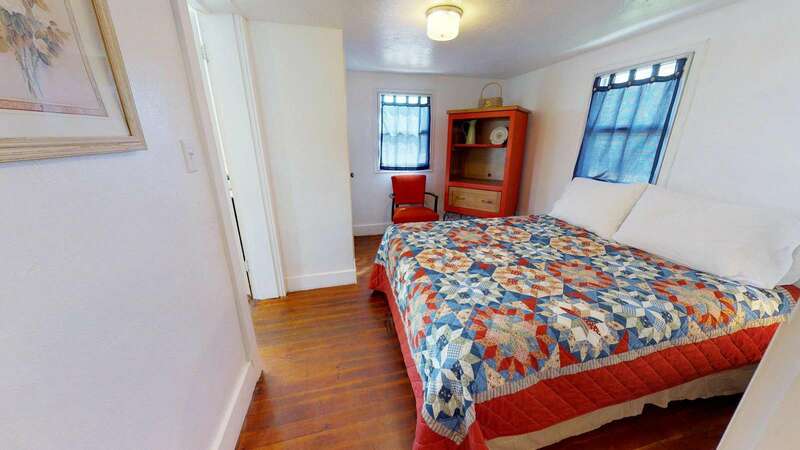 My wife and I were amazed with all the little touches of this cute little 2 bedroom home. Ideally located to explore the four corners area we didn't have enough time to see everything that we wanted too. The guide book offered great tips on planning our days, the house provided for our every need, including a/c, internet, and television to help wind down after a quick soak in the jaccuzi. We will have to come back. A true gem. 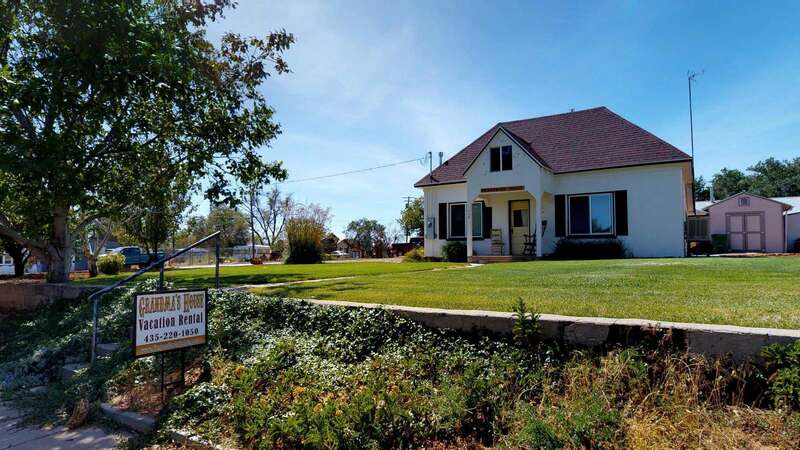 Grandma's House in Blanding, UT was very nice and worked great as a base camp for our local adventures. 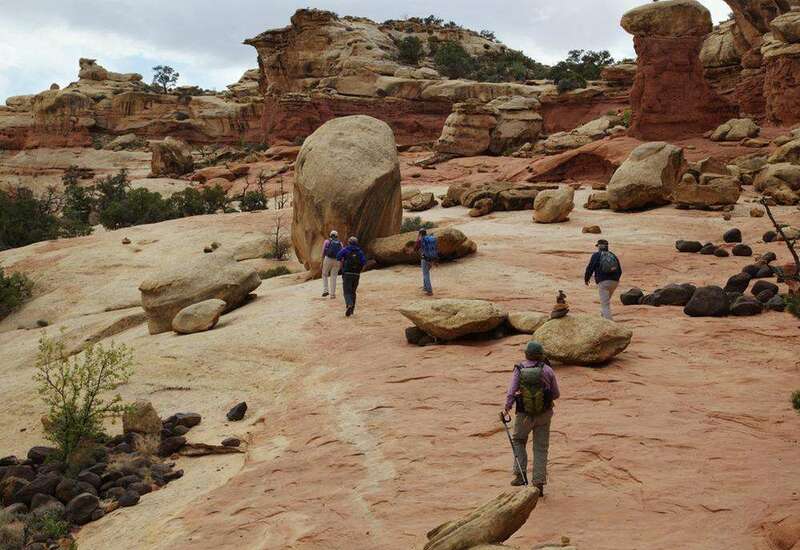 It is located close to Canyonlands and Natural Bridges, and a little over an hour to Moab. The house was very clean and well kept. The kitchen was well stocked for the cooking we wanted to do. Staff was quickly response to our request to get the heat turned on. We didn't get to use the hot tub, but I checked it out and it was very nice and hot. We'd definitely return. While it was just the two of us, it would be great for a family of six. "Grandma's House" was a delightful base for our week of hiking in Utah's surrounding canyon country. It was comfortable and cozy, with everything we needed. The owners were quickly accessible by phone, as noted. So enjoyed the history of the house that was captured throughout. It was like a window into Blanding's history. Would definitely stay again! Grandma's House was clean & cozy, perfect for my family. It definitely took me back to my late grandmother's house. Easy check in & check out! We had a great stay at Grandma's House. Had the best few nights sleep of all the places we stayed in on our Utah holiday! Grandmas house was EXACTLY as described, cozy, quaint, and comfy with all the modern extras we enjoy. 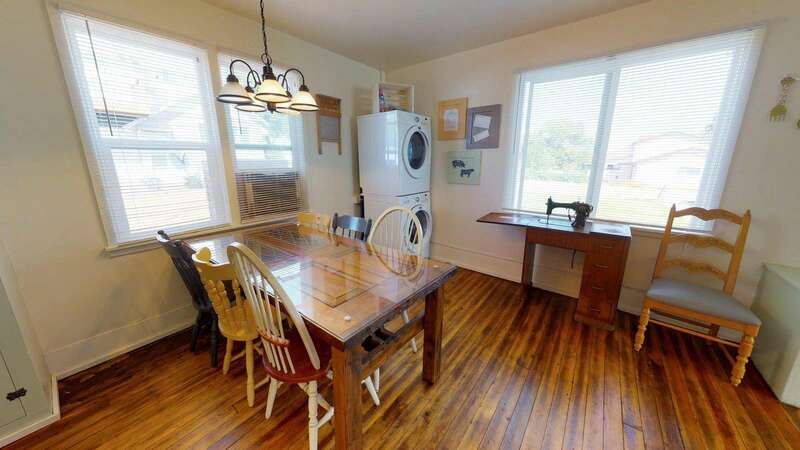 Super cute house, loved the history included. The washer and dryer were a huge asset, the bbq area was perfect. We enjoyed our stay and would recommend Grandmas house to anyone looking in the Blanding area. We had a very clean & comfortable stay at granny’s house. Great deal for whatcha get. Perfect place to relax after checking out Arches and Monument Valley. Recommended. 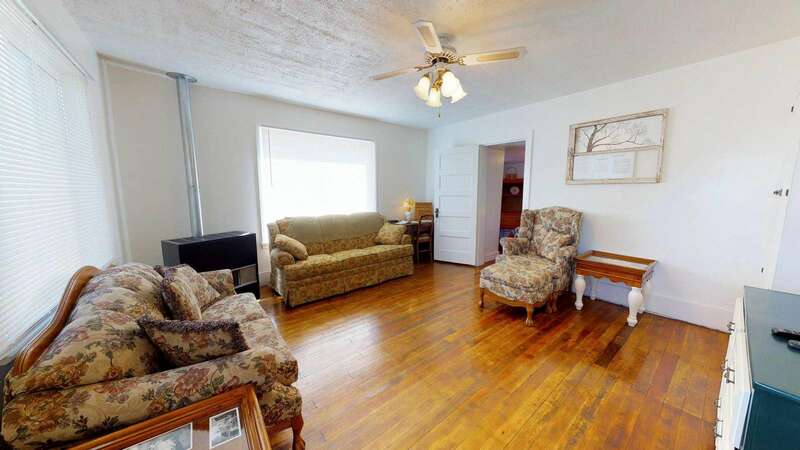 Cozy & clean house in Blanding. It was a great size for 2 couples. It had all the essentials for comfort and cooking. The bedroom ceilings are low, but its not too bad. 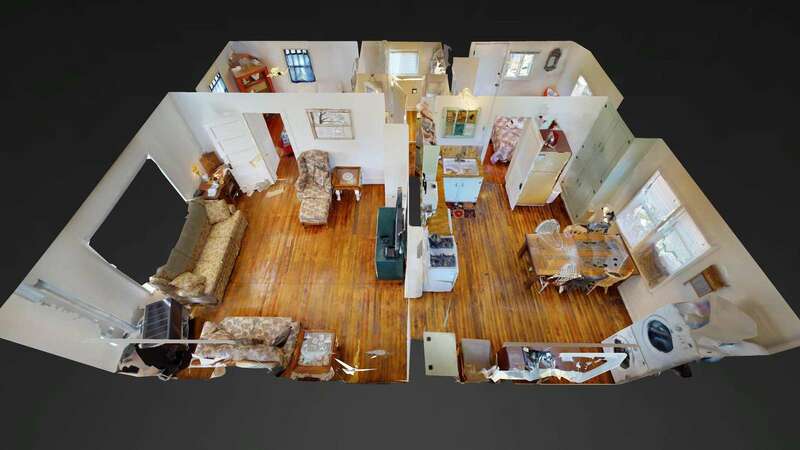 The kitchen and living room have higher ceilings. Bathroom sink faucet was hard for men to use, it was very close to the bowl edge and not great for big hands. The covered table and grill out back were great. For the price, it is a sweet spot. We'd stay here again. This house was just what we needed after weeks traveling. We enjoyed the fully stocked kitchen with everything we needed. Blanding is a great town for shopping and minor repairs ( I had my tires rotated). Highly recommended. We really enjoyed Grandmas house, being a little older, all of us had memories and stories around much of what we found here. From the harvest gold fridge to the recipes on the wall and the story of the layers of tile it was fun to hear about the place from that perspective. It is evident the time and resources that have been taken to make this a great vacation spot away from home. Check in/out was very simple with the keybox. The place was amazingly quiet and comfortable. If we had arrived a bit earlier we may have used the patio and rockers for an evening wind-down. This had everything we needed and more. Very homey. We felt like we were staying at our grandma's house. Great location. Owners added lots of personal touches. Would definitely stay here again. Uber cute. Lots of history with the house. Very helpful owners & property managers. Great book with info on the region. Central local to get to Bears Ears, Natural Bridges, Canyonlands & much more! Great value. Very nice location and very comfortable home. Enjoyed the mementos to keep the legacy grandma. 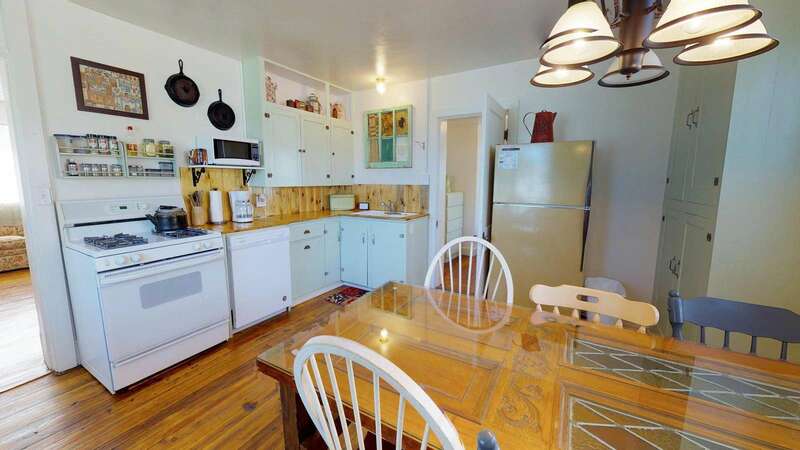 Very clean, adequate supplies in kitchen to cook and eat there. Nice shower. Grandma’s House was just what we needed on Day 4 of our cross country trip west. Our toddler got his own room, and we were finally able to spread out after a few straight nights of hotels. We cooked dinner and just relaxed. More than enough room for our small family. Super cozy. Highly recommend! Thanks Jerry! 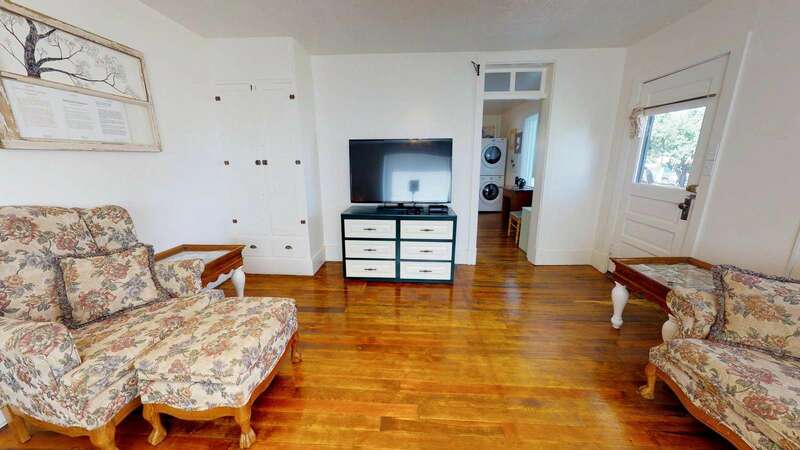 The room is stylish and clean. Very neat little house with some history. Was creatively decorated. The house was a little bit chilly outside the living room, but the bedrooms had plenty of blankets to stay warm. For the price I would stay at again. 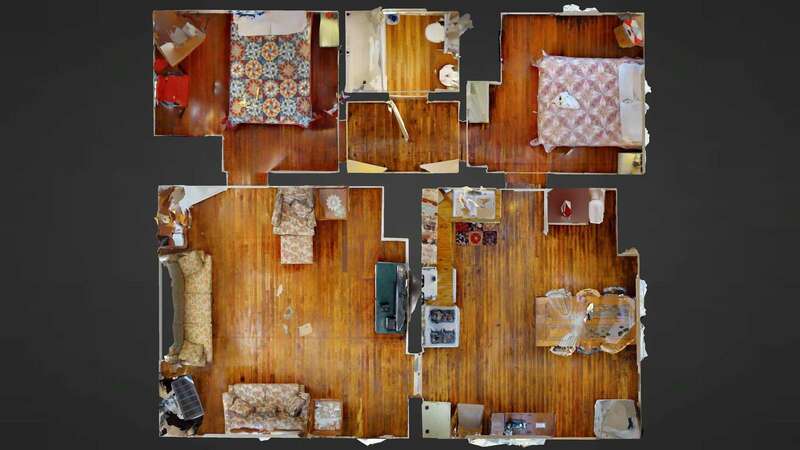 The home is cozy and spacious. The home is filled with love! We love the sunlight shine into home provide natural light. Nice and warm in winter. Beautiful view of the snow. The area is quite and peaceful. The neighbors are quite and kind. Nice walk in neighborhood with our pets. Enjoy the stay! Grandmas house is a wonderful space. It is decent size and VERY animal friendly. We were very happy with our stay and would stay again if we were to ever visit Blanding! My wife and I loved this cottage. It is interesting and quirky in all the best ways. The kitchen was exceptional. Items for cooking including spices and seasonings, and the gas range and large dining table make it perfect for a group. My only complaint would be a couple of low doorway arches (I'm 6' 4'') but those make the night walk to the bathroom all the more interesting. 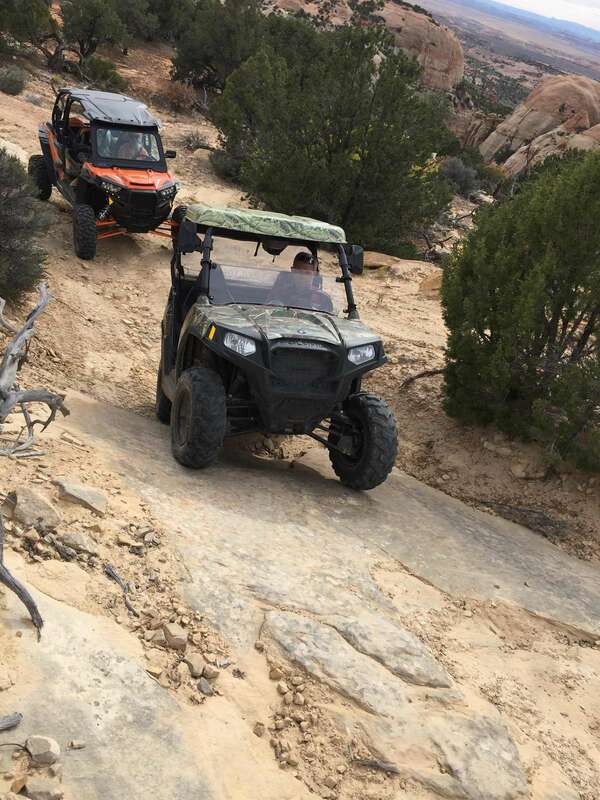 If you are looking to explore Bears Ears and Natural Bridges while still within striking distance of Moab, "this is the place". Loved it and will be staying again. We had a nice stay at Grandmas House in Blanding Utah from December 23-27, 2017. We only had one problem....the bathtub didn’t provide hot water although instructions were provided and we followed them but it only got lukewarm. It was an energy efficient which we are very familiar with .... Grandmas didn’t seem to be efficient so I’d advice owner to help provide hot water if you want a hot bath and soak which we did after hiking most of the days. Very disappointing. I can’t give Grandma House five stars do to the lack of hot water for bathing ....if that’s not a problem for anyone......the house accommodates in full kitchen, washer n dryer, clean. I won’t be returning to Grandmas House. Owner Response: How unfortunate this issue occurred during your stay in December. We are looking into the cause of the issue right away to ensure future guests have hot water, as usual. We do hope you'll stay with us again at any of our great locations near the national parks! We loved our stay at "grandma's house". Comfy and homey. 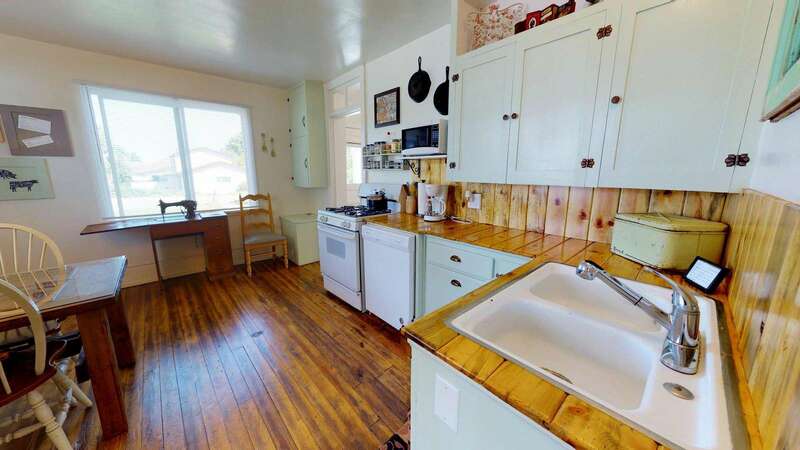 Great kitchen, beds, wifi, outdoor space, living room, and off season price. Cute place! Very cozy. Just like my great grandmothers house was! We stayed at Grandma's House in Blanding. This was the first time we had rented a vacation home rather than a commercial hotel and really didn't know what to expect. The directions to the house made it easy to find (in all fairness our GPS got it too). The place was neat, clean, very well cared for and set up with everything someone would need for a nice stay. The owners were very easy to reach and reacted quickly to a minor "gotcha". Would love to have actually met them, but it didn't work out that way. The one thing that almost kept us from renting was the rental agreement. It looks like it's written by a Personal Injury attorney trying to make sure they can blame the renter for anything. We had no issues, but the contract is a bit overboard. (That's why 4 stars not 5.) For an introduction to the vacation rental process this was a very nice experience. I'd recommend Grandma's house to up to 4 adults or a family with very well behaved children. (Over 4 and you better know & like each other pretty well.) Blanding made a fantastic "home base" to explore smaller parks and monuments throughout the region. 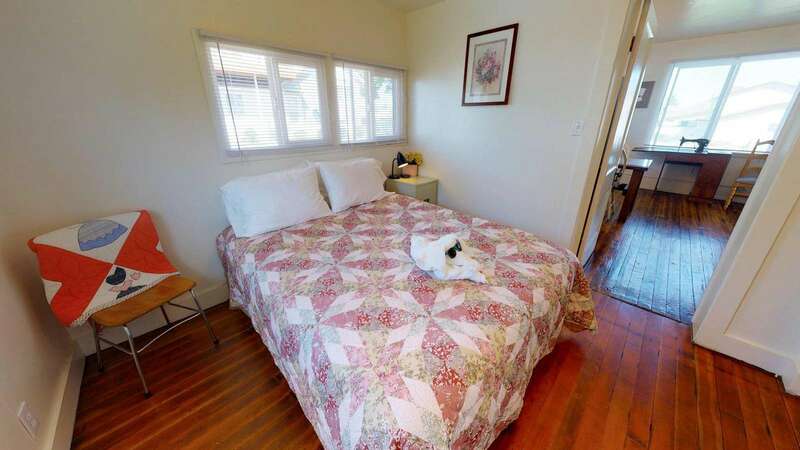 It was very comfortable and the owners have done an excellent job of renovating while keeping the "Grandma" character of the home. Grandmas house was the perfect retreat for us while we stayed in Blanding. It was very comfortable and had everything we needed during our stay. The preservation of the original features of the house added to the experience and were explained by displays on the walls. Definitely one of a kind! We would definitely rent it again when in southeast Utah. 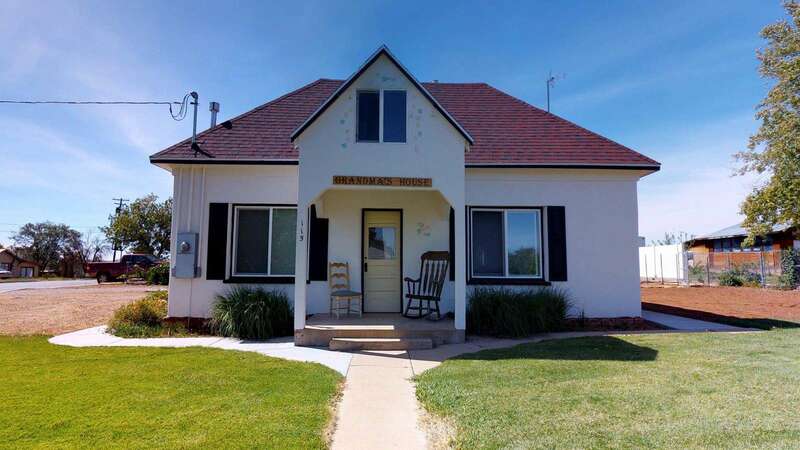 Grandma's House is a great place to stay if you want to be centrally located to quite a few National Parks and Monuments. The house was cute and comfortable. The washer and dryer was a big plus. The town of Blanding doesn't have many nice restaurants, but there is a nice grocery store in town. The visitor center is awesome and they share a lot of information about all of the things to see and do in the surrounding areas. We really enjoyed Grandma's house. This is really a cool place. 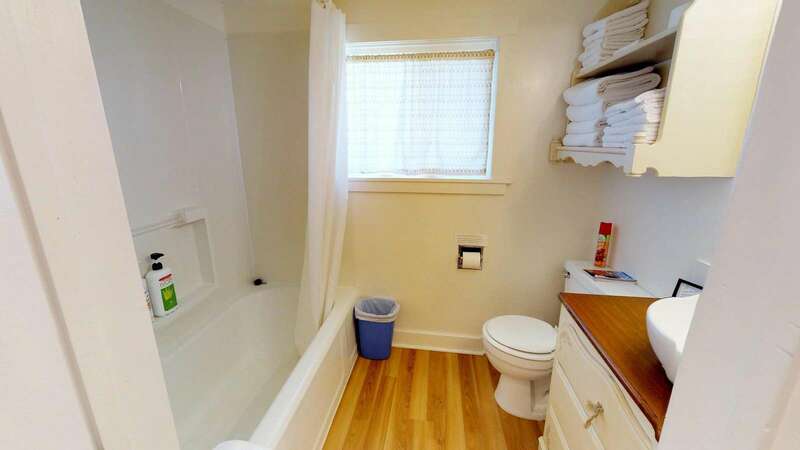 They have all the facilities to make you feel home as soon as you get in to this house. Nice covered outdoor area. Neighborhood was quiet and the beds were comfortable. Immediately our entire group felt at home. Would easily book it again. 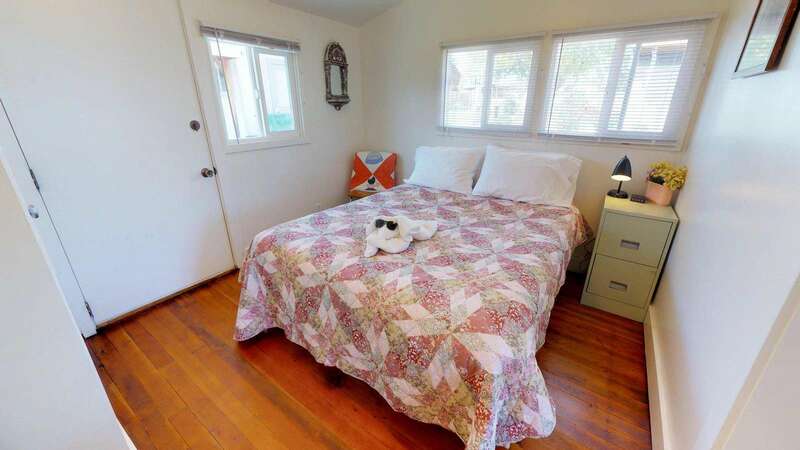 The owners have done a wonderful job remodeling the house - it is very comfortable and well appointed. The location is perfect for visiting the area's attractions, including Bear's Ears, Hovenweep, Mesa Verde and Natural Bridges. Recommended. The location was amazing and Jerry was very responsive to all our queries. It is close to restaurants and shops in the town. I would definitely recommend the place and hope to return in future. We sure enjoyed our stay at Grandmas House and we tell friends about it. 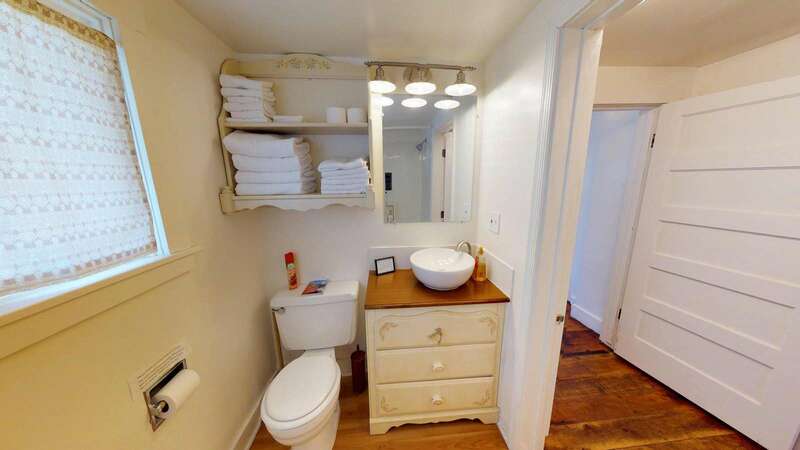 A great women most of helped you with the remodeling Because there are nice lights and mirrors and outlets.